One of the most effective ways I’ve found to save a lot of time and energy is using mentors. While nothing replaces experience, mentors can help guide you to the right experiences and avoid some unnecessary experiences. They can also help you make meaning from the experiences you have, by providing a new lens or vantage point. They can also help you find the most effective path through a problem. A good mentor can also help tailor information to make it more relevant for you. It’s one thing to see good ideas in a book, it’s another to have somebody who can take you through the ideas in a way that resonates for you. Mentors are all around you. Imagine if everybody you know, has one great thing to teach you. Find people with results. You can’t argue with results. Think in terms of motivation, skills, and feedback. Sometimes, you might just need somebody who helps you find your motivation. Other times, you actually need hard-core skills or techniques. Sometimes, you just need more actionable feedback. Sometimes, you need it all. Know what you need to find the right mentors. One of the ways I find out which ways to make money work and which ones don’t is I check with accountants. Since they do the taxes, they get to see what’s working and what’s not. I’d rather pay an accountant for a few hours of their time, than spend a year down a path that has a poor success rate. Essential thing to have, saves so much energy, frustration and teaches you so much. Mentors are all around us – I hadn’t though of it this way before, and it really is true – we just have to be open to what is out there and within our reach! Dittos. My mentors, formal & informal, have had–are having–a huge impact on my success. When offered the opportunity, it’s a privilege to return the favors as well as to pass along to others the insights I’ve gained. Mentor is a wonderful tool. We don’t need to make it on our own. We can all learn from one anyother. True JD! 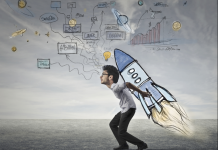 I can track every turn, growth spurt in my life back to a mentor (or an idol)…. You know the value. You get to see it in action. I think we have a lot more options for great mentors these days, with the addition of online and virtual. Too true – it’s both a pain-saver, and an opportunity-maker. It’s funny how it sounds so obvious now, but it took me a while before I realized I’m surrounded by mentors. I agree – I think you get what you give, and I think you’re a great mentor with a lot to share. I like to think of it as lifting each other up, or standing on the shoulders of giants. Good point on dols! Even in corp land, I’ve noticed more people bored or frustrated with learning on their own. I see a lot more people pairing and sharing and it’s great to see. Very powerful thing to realize, indeed. Many people have touched my life and enriched it. It’s always a great starting point. Thank you. It sounds like you’ve experience first-hand the value of standing on the shoulders of giants. It sounds like you’re asking the right way and getting results. 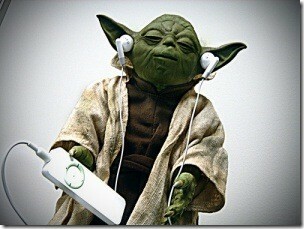 Yoda really knows how to get his groove on. If mentors are all around, my problem is who has got the authentic voice. @ Kumar — Finding the mentors we need, with the experience we trust, and with the chemistry that clicks, can be a challenge. In my experience, I’ve had to cycle through a lot, and what I’ve found is that my best approach is simply testing my results. I ask around to find the specialists that people recommend, and then I test. One thing that’s helped me get more out of it each time, is I try to first ask them their story — what do they love to do and why, and how did they get to where they are. I find that even if they can’t help me the way I want, at least I learn an interesting story around how somebody is making their way in the world.